Sandy created his passion for music when he was a crawling baby who loved to switch the buttons of fathers' turntable. He launched his dj career at the age of 14 when he started his own drive-in-show Aurora to run on several (school) parties in the region. He was 16 when he was allowed to hit the decks in the local club Las Vegas (Landgraaf). Then in 1989, his first cd players were adapted by adding a pitch control, he became one of the first dj's who mixed with cd. His ultimate dream, dj-ing as a resident in a discotheque, came true in early 1990. 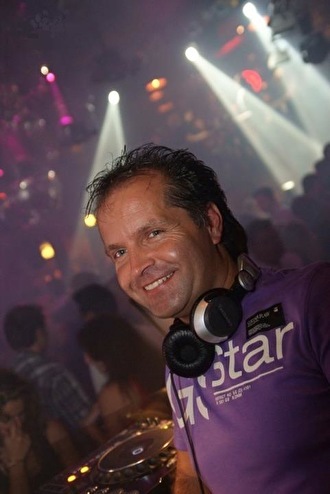 Beginning on Sunday as resident dj in disco Galaxy (Landgraaf) it soon extended to the Friday and Saturday. In 1992 he was even one of the first house dj's who played tracks on a house-parties together with live performance from artists like 2 unlimited, T-Spoon, Capella and dj's such as Darkraver, Dj Jean, Chuckie, Charly Lownoise & Menthal Theo and many more. He remained as resident dj in this club until 1999. After the galaxy period he was an all-round dj in several other venues and (business) events. In June 2001 he was approached by the owner of the leading club Mondial (Beek) to run a gig on Saturday in the upper room. At that time it was still al-round music that was played, but with all his experience, Sandy realized that there were more opportunities in this room in the style of R&B music. Sandy followed his feelings and started increasing the R&B music and fortunately, the successful R&B room was born. Since November 2004 Sandy and dj Tape are responsible for the music during the monthly Mondial Dance Classics parties. From 2005 he is the resident dj for the Mondial 90's parties as well and several other concepts. Given the success of these parties he also joined the dj team from the main room in 2008. Nowadays you can mostly find him either in the main room or the R&B room at this leading club. In his career as an all-round dj he was spinning together with a lot of famous dj's such as Billy the Klit, Buzz Fuzz, Corné Klijn, Gizmo, Quintino and Tiësto at huge parties like Maastricht live 2010 and Dance Classics XXL (Mecc Maastricht).